This tropical property is located in Uvita, where the whale\'s tail is and the National park Marino Ballena. The property consists in 2 homes that are located far enough in order to give the privacy you are looking for. The main home offers 2 bedrooms on the ground floor, open concept terrace and kitchen/living area and 1 huge master bedroom on the top floor with private balcony looking out the whales tail. Outside is where you can sit all day long, under roof or open by the pool, the patio around it is amazing and big. There is a small lookout with a dining table and chairs so you can enjoy the Toucans and Monkeys. The 2nd home which was built last year and a huge improvement to the property. It offers 2 car garage & Bodega in the ground floor plus 2 bedrooms 2 baths in the top floor, modern, clean, simple but luxurious in the woods. As far as location, this is the main topic. 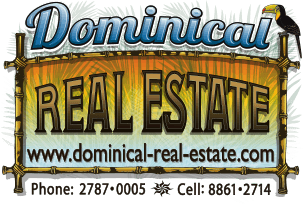 You can access Uvita town within 5 minutes or less from the property on a well-maintained road. If you like to see this amazing property which is offering 2 homes already built, please contact us immediately as this is a deal.